We use Extreme Steam for all our Cleaning Services and we are always very please with the results. I would recommend there services to anyone commercial or residential. Don't get caught off guard, Extreme Steam let's you know the bottom line up front. Please fill out all the forms below and a representative will be contacting you shortly to schedule your free estimate. Extreme Steam can take on Any Job, Any Size, Any Time, Anywhere. Water Removal and Drying of floors, carpets, walls, wood, and ceilings are performed to the highest standards in the industry. Our equipment is continuously upgraded to advanced technology. Extreme Steam will beat any competitors written estimate. Many Cleaners will advertise a minimum rate that does not exist, Extreme Steam will never make up fictitious expenses once on site. If you are considering cleaning green you should know what to look for in a green carpet cleaner. Its no mystery that heat and vacuum play an important role in how your carpet becomes clean and how fast it will dry. These 2 components are important in a Green Clean. 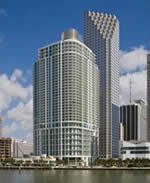 Our Offices cover the South Florida tri-county area.